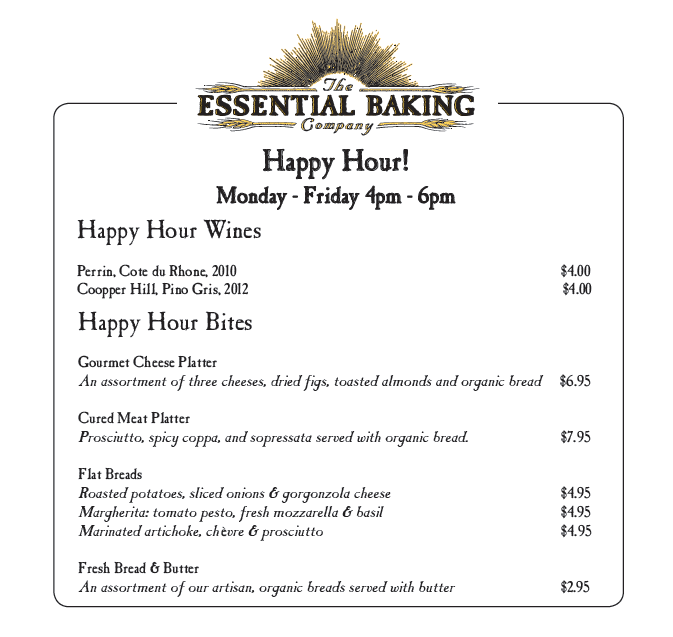 Introducing Happy Hour, every Monday – Friday from 4pm-6pm at The Essential Baking Company’s Bellevue Cafe. Located inside the University Bookstore, this location boasts free parking and the convienece and comfort of having The Essential Baking Company and the University Bookstore in one place. You can buy books, shop for gifts, enjoy a lunch, snack, a treat, coffee, or even a glass of wine with friends in the cafe or by the fireplace in the bookstore. It’s the perfect place to catch up with spend time with your family, catch up with a friend or even have a business meeting. Be sure to ask about the monthly book club specials. 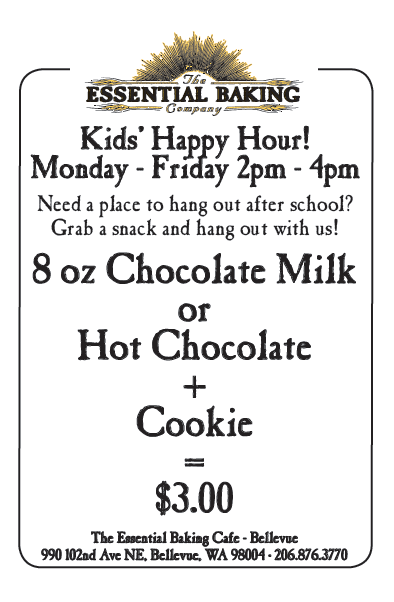 We even offer a Happy Hour especiall for the kids. Join us every Monday – Friday from 2pm – 4pm for a special treat. Enjoy a treat with your Sweet. Spend some time reading books with eachother or doing homework without the usual distractions of home. Rosemary Bake-At-Home With Roasted Red Pepper Aioli We’re Doing Sunday Brunch and Mimosas in Bellevue!